Inter-Text Translation Agency specializes in translation and interpretation from Polish, German, English and French into Russian. 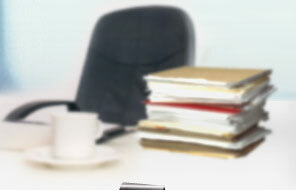 This specialization allows us to provide quality and efficient translation services. With the purpose of diversification of our business, Inter-Text Translation Agency would like to expand our cooperation with German, English, French and Polish translation agencies serving clients who work with the Eastern (Russian-speaking) market. We can offer our translation services and share our experience with you for your and your clients’ success in the Russian-speaking market. Taking into account our closeness to Poland, a great bulk of translations is made by our translators from/into Polish. Long-standing cooperation with different Belarusian and Polish companies in Polish-Russian translation allows our translators to gain extensive experience in different areas. That is why we would like to offer our services in translation from Polish into Russian and from Russian into Polish to Russian, Belarusian and Polish companies. We will help you to understand each other. Languages stop being foreign with us!